First there was Black Friday. Then came Cyber Monday. Doesn’t it seem ironic that these two days come after the one and only day of the year in the United States we’ve set aside for expressions of Thanksgiving and Gratitude? Have you ever stopped to think about what happens to all this stuff after the holidays because we give out of a sense of obligation to people who really don’t need or want anything but our company and our positive regard? I remember my grandmother talking about receiving a gift of an orange in her stocking. That’s all. Nothing else. And, she was grateful for it. It was a rare and extravagant gift to receive tropical fruit in the winter during her childhood. I’m sure no orange ever tasted so good as the one she received on Christmas morning. In our grandparents’ and great-grandparents’ time, gift giving at the holidays was a small thing. It was a way to recognize the bounty of the harvest in the fall. It was a way to share with others a symbol of our love for them. It was a way to allow the gesture to be a reflection of all that’s been given to us. And, it was a way to celebrate the season. But now the season of giving has turned into a series of meaningless gestures that make many of us feel poorer. We’re poorer today than in my grandmother’s time because after the holidays we have bills we can’t pay and/or closets of stuff we can’t use. 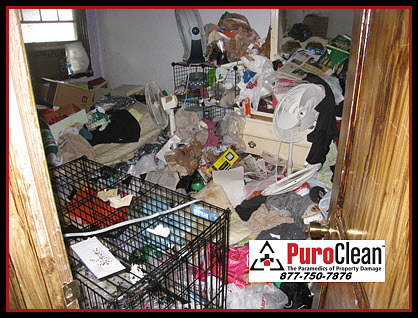 Here at PuroClean Emergency Recovery Services we’ve seen first-hand the danger of hoarding and clutter in homes when property damage happens from fire and smoke or water and sewage. 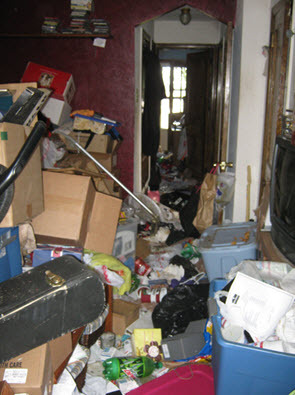 We see how much the clutter imprisons our lives, and how much it can cost us when homes get damaged. 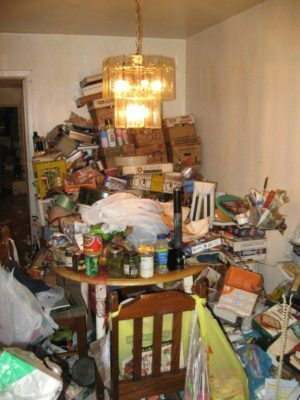 But, even if we’re not hoarders, massive collectors, or clutterers, many of us have solved the problem of having too much stuff by using off-site self-storage rental units. And this has created a problem of it’s own . . . The Self Storage Association estimated that in 2014 almost 10% of all households in the United States rented a self-storage unit. 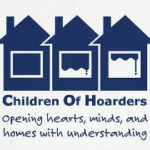 That’s over 10 million households! 30% of these households will rent their self-storage unit for two years or longer. 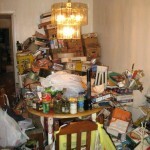 And, most of these households have basements, attics, and garages to store stuff too! What that means is there are more self storage facilities in the United States than there are McDonald’s restaurants!! In 2013, the self-storage industry in the United States generated more than $24 billion in annual revenue. Yes, that’s billion with a “b.” It’s been the fastest growing segment of the commercial real estate industry for the last 40 years. So much so that by the end of last year, there were approximately 59,500 self-storage facilities worldwide. And most of these facilities are in the United States. 52,500 in all! That’s a total of 2.3 billion square feet or 78 miles of self-storage space! 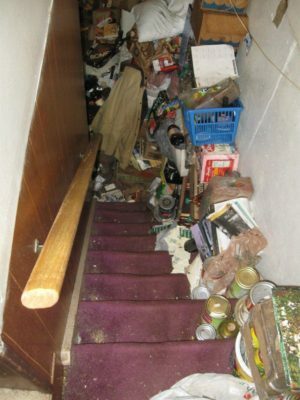 And, all that space and all that money spent to store stuff that people aren’t using, and in many cases don’t even want anymore. It’s a crush of stuff from a culture that’s constantly on the move. 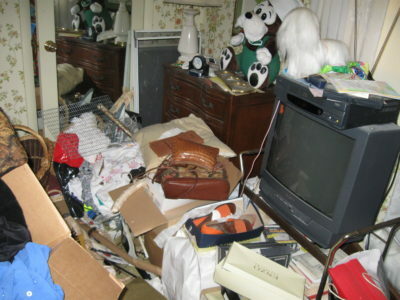 The problem of our collective inability to let go of stuff has even been featured in a very popular A&E show “Storage Wars” where enterprising folks bid on forgotten and abandoned property in storage spaces. Doesn’t this all sound just a little insane? $24 Billion dollars just to store stuff no one is using . ..
And so as you make your holiday shopping list to see who’s been naughty and nice, we ask you to consider checking it twice. Before you go out on Black Friday or sit down at your computer on Cyber Monday, you might ask Is there a better way? Yes, there is a better way! #GivingTuesday !! Alternative gifts are charitable donations you give with a name attached! Your loved ones receive a card mentioning them by name and you as the giver! These monetary gifts go to work as soon as you give them to help these organizations locally and world -wide. Check out the links below to some of our favorite local, national, and international charities for some information about how to give gifts in honor of the special people you know and love – and avoid the crush and the cost of clutter this holiday season! The Habitat for Humanity ™ Philadelphia program is not just another “handout” it’s a program for home ownership that actually helps to break the cycle of poverty by ensuring that the families who work their 350 “sweat equity” hours on their own house or other Habitat ™ houses get to see the results of their labor in the form of a down payment and a no-interest mortgage. 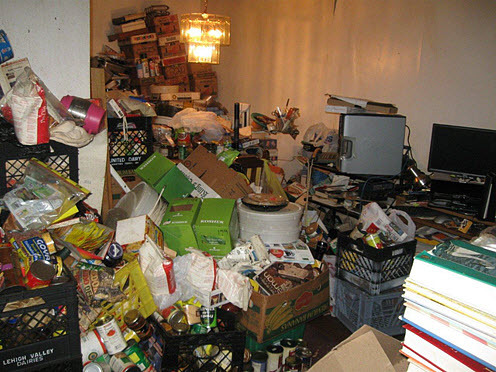 Thinking of clearing out that rental storage space? The Habitat ReStore serves as an outlet, accepting donated goods for resale. And then, the profits help fund the construction of more houses. In addition, when you donate to the ReStore, you enjoy a tax deduction, help to provide the Philadelphia community with a source of low-cost building materials, furniture and home goods. What’s more? 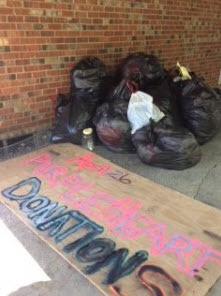 Donations to the ReStore save tons of materials from going into landfills helping to save the environment. 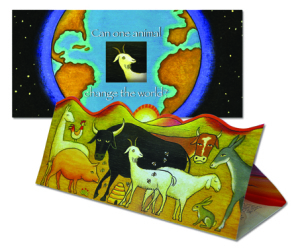 On #GivingTuesday Think Heifer International! Heifer International’s mission is to work with communities to end world hunger and poverty and to care for the Earth. It’s a group that empowers families to turn hunger and poverty into hope and prosperity. But, their approach is more than just giving a handout. Heifer links communities and helps bring sustainable agriculture and commerce to areas with a long history of poverty. 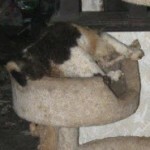 The animals provide partners with both food and reliable income, as agricultural products such as milk, eggs and honey. Partners trade or sell these products at market. When many families gain this new sustainable income, it brings new opportunities for building schools. And, it creates agricultural cooperatives, forming community savings and funding small businesses. Give Heifer – If you’re looking for the perfect present for someone who already has everything, then give Heifer. What better way to honor someone on Hanukkah, Christmas, or Kwanza than with a gift that keeps on giving! On #GivingTuesday Think The Food Bank of South Jersey! Contributions in the form of alternative giving to the Food Bank of South Jersey will help deliver much-needed food to more than 173,000 people struggling to make ends meet in South Jersey. 92% of all donations directly fund programs & services that deliver and distribute nutrient rich food, support social service outreach, and educate people on the ways in which healthy eating and cooking can help them live better and healthier lives. Your donation helps them continue the critical mission of delivering food and hope to the people of South Jersey. Created in 1984 the folks at Philabundance have a simple belief: that no man, woman or child should go hungry. Their growth and integration with the Philadelphia Food Bank in 2005 made them the region’s largest hunger relief organization. Philabundance has taken a stronghold on the issue of hunger in the Delaware Valley. They provide emergency relief and long-term strategies to strengthen the hunger safety net. There’s no quick fix, but with unified dedication from partners, donors and the public at large, they are creating innovative programs and support to agencies that make nutritious food accessible to everyone in the Greater Philadelphia area. We’re here for you 24 hours a day, 7 days a week – even on holidays!